Use this kit for emergency spills of any liquid especially hazardous chemicals. 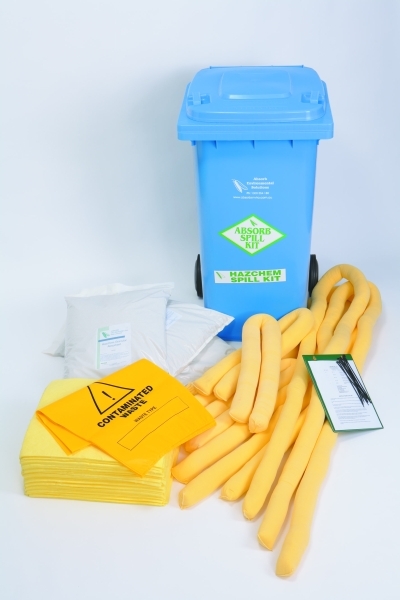 This kit comes in a blue wheelie bin for easy identification and can be mobilised and used by one person. * Factories and workshops containing hazardous chemicals. * Containment and absorb of most liquids. * Don’t use this kit when removing oil from water. Instead, use an oil only spill kit.